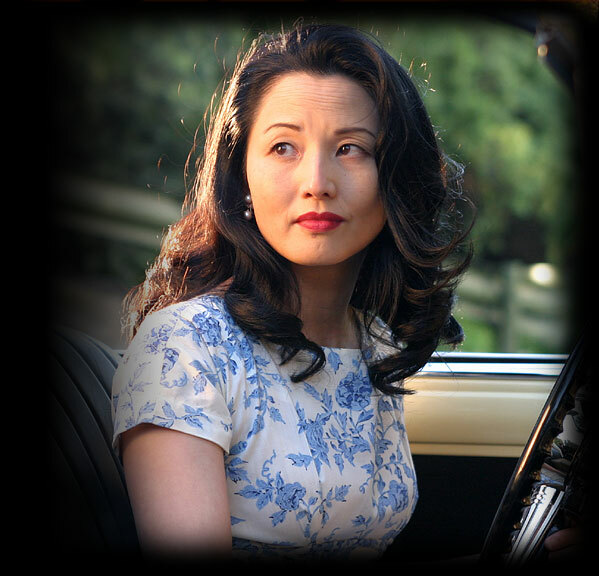 Since making her screen debut in "The Karate Kid, Part II" with Pat "Noriyuki" Morita, Tamlyn Tomita has become one of the most popular Asian-American actresses working today. Tomita was born on a U.S. military base in Okinawa, Japan, to a Nisei father and a Okinawan-Filipina mother, and raised in Los Angeles' San Fernando Valley. Selected by People magazine in 1991 as one of that year's "50 Most Beautiful People," Tomita's most notable starring roles to date include Wayne Wang's "The Joy Luck Club" (as one of the daughters), Kayo Hatta's "Picture Bride" (as a turn-of-the-century Hawaiian plantation worker), and Alan Parker's "Come See the Paradise" (opposite Dennis Quaid in the story of a Japanese-American family interned during World War II). Her extensive body of work to date includes the Robert Rodriguez-directed segment of "Four Rooms," opposite Antonio Banderas; Richard La Gravenese's "Living Out Loud," opposite Holly Hunter; Greg Pak's indie cult hit, "Robot Stories"; Roland Emmerich's "The Day After Tomorrow," reuniting her with Quaid; and the upcoming Brazilian-Japanese film, "Gaijin II." On television, Tomita has been a series regular on "Santa Barbara" and "The Burning Zone"; co-starred in recurring roles on such major series as "JAG," "24," "Babylon 5," and "Crossing Jordan"; and starred in the movies, PBS' "Storytime" and "Hiroshima Maiden," NBC's "To Heal a Nation"; and "Hiroshima: Out of the Ashes." The winner of a Drama-Logue Award for her performance in "Winter Crane" at the Fountain Theater in Los Angeles, Tomita has starred in a number of stage productions – including the world premiere of " A Distant Shore" at the Kirk Douglas Theatre; "Question 27, Question 28" for East West Players/Japanese American National Museum; "The Square" at the Mark Taper Forum, Too; "Summer Moon" for the A Contemporary Theatre in Seattle and South Coast Repertory; Philip Kan Gotanda's "Day Standing on its Head" at the Manhattan Theatre Club; "Nagasaki Dust" for the Philadelphia Theatre Company; and "Don Juan: A Meditation" for the Mark Taper Forum's Taper, Too.